We understand that each client’s care needs are unique. To provide effective home care in various circumstances demands particular caregiver experience, training, skills and sometimes personality characteristics. We tailor our home care to match the perfect caregiver to your needs. Comprehending how to converse with a person who has Dementia or Alzheimer’s is not innate—but we can learn. Improving your communication competence will help facilitate less stressful caregiving. Call us today to learn more about specific care solutions for your family members. Our state-licensed caregivers (CHHA) provide assistance for the “activities of daily living” (often referred to as ADLs). Support with these types of care needs affords family members the ability to spend quality time with loved ones when they are together. Our primary focus is to provide cost-effective and quality professional home care for loved ones needing care in their private home or in a facility setting. Our comprehensively screened, licensed, insured and bonded employees (Home Health Aides) care for your family members (24/7) in their own comfortable familiar home setting. To provide exceptional care with extraordinary people is our promise for your loved ones. 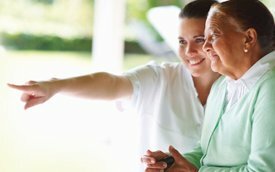 CareBridge Home Health Care is a licensed home care agency in New Jersey specializing in personalized at-home caregiving to meet your family’s needs, regardless of your situation. Using a comprehensive nursing assessment and an in-depth interview of clients (and their families) prior to the start of care, CareBridge Home Health Care excels in matching the most compatible caregivers with clients. We are consistently committed to place the best-suited NJ certified home health aides for our clients. We guarantee the compatibility. If a client is not satisfied with an employee, simply ask us and we will provide a new home health aide. We realize that choosing the right home care agency can often at times seem confusing, that’s why we personally meet with every family to ensure that the specifics of our home care options are presented in detail. Providing highly compatible, certified home health aides are only the beginning to a professional and personal home care experience. What follows next is to foster healthy, caring and trusting relationships between the client, their family and their home health aide. We understand that an effective New Jersey home health care provider cannot micromanage the complex relationships between clients, families and their caregivers. In CareBridge’s client-centered approach, clients, their loved ones and our employees work in concert to define the roles and responsibilities around the client’s care needs. Our services encompass a wide range of home health care options, from companion care to ‘hands on’ personal care, with a depth of knowledgeable aides that can handle simple housekeeping tasks to complex disease related care needs. We encourage you to explore our informative site. There are answers to frequently asked questions, different options for types of home care in New Jersey, information on memory care, and specifics regarding our employment practices for our certified home health aides. We would be happy to provide a free home care consultation at any time for individuals in need of services. Call us today and find out why CareBridge Home Care has been a trusted and affordable home care agency in New Jersey for families in need of support. We begin the home care process with your initial call inquiring about our services. 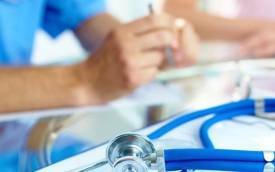 Our professional office staff gathers relevant information to determine your specific care needs. Once this information gathering is complete we’ll arrange an onsite meeting where we can continue to assess and further clarify your needs and preferences. Our expertise is providing families and their loved ones with experienced, licensed, highly compatible aides in a process that results in a strong, long-term caregiving relationship. We offer a free on-site needs and preferences evaluation (home, hospital, rehab, etc. ), and are a general source of information on elder care issues and resources. 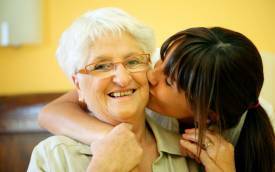 CareBridge Home Care is a state-licensed Home Health Agency in New Jersey. All of our aides are licensed Home Health Aides (CHHA) under the Board of Nursing in New Jersey. All employees are covered under our Worker’s Compensation Insurance, General Liability Insurance and Bonds. What is the difference between Live-In and Hourly care? Live-in caregivers reside in the home of their respective clients. Typically, the family will provide room and board for the aide. When necessary, the Live-in aide will schedule time off from work and a replacement aide will be oriented and placed on the case temporarily (usually 5-7 days) until the full-time aide returns to work. An hourly aide is an employee that works in shifts (4hrs-12hrs) and travels to different clients on an as-needed basis. Hourly aides provide their own transportation as they may see multiple clients in a routine work day.